I had the intention to create a mandala that has a lot of positive energy. 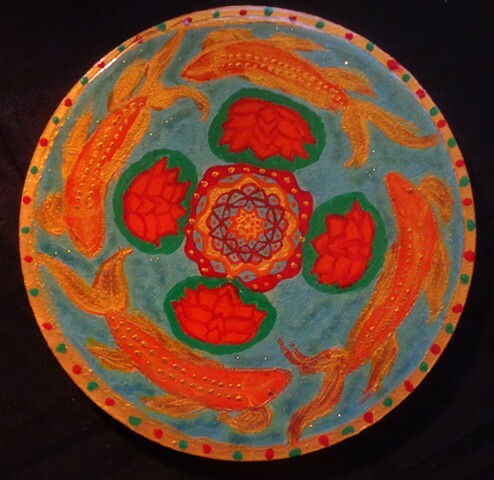 Koi fish are associated with perseverance in adversity and strength of purpose. The lotus flower represents strength, good luck, long life as well as honor and respect. The water represents the flow and individual reflection that each person can have when looking into it.